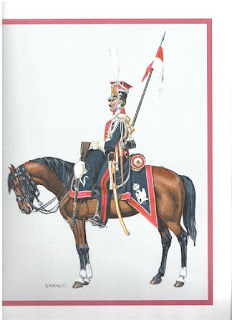 For a while now I'm working with a gentleman who needs his Napoleonic collection finished. 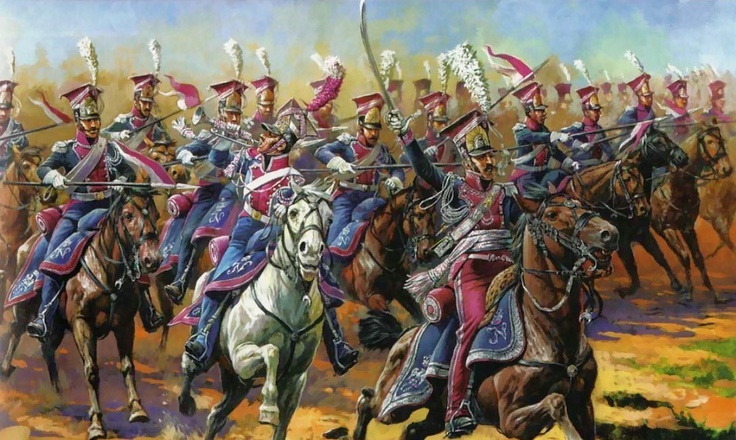 The first unit I took on was the famous 1st Lancers of the Imperial Guard, at the time the bestest lancers ...In The Wurld. 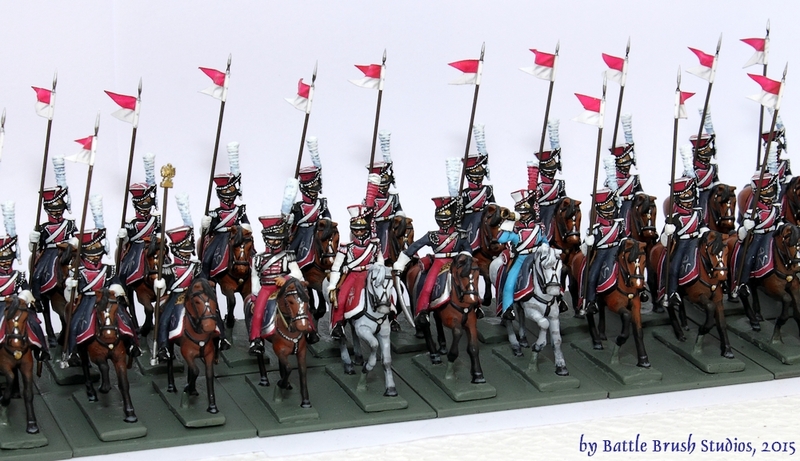 There could be so much said about the Polish Lancers of the Imperial Guard. 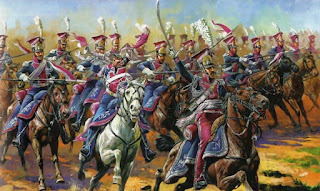 Or about Lancers in the French army of the time. 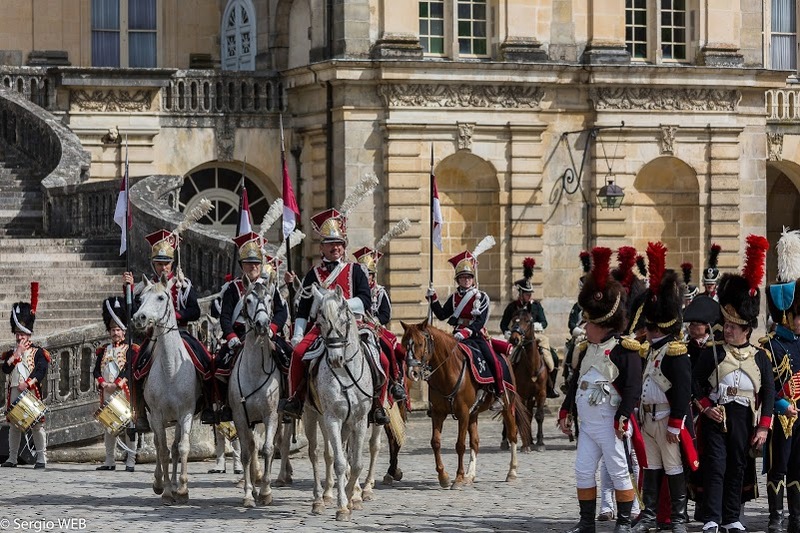 Or about the Polish formations of the time. 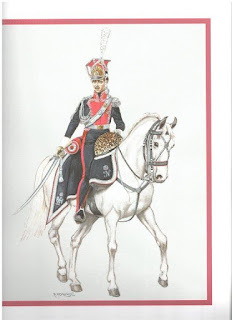 That's the thing about Napoleonics: There is a LOT of stuff to read about and there are LOTS of very good sources (some bad ones too of course). One of the periods I'm most interested in, early 17th century, has barely any sources on anything. 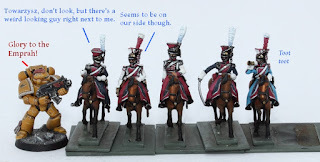 Napoleonics on the other hand have sources on everything, and after having painted this unit I understood why many wargamers deal in this period only. These kicked me way more out of my comfort zone than the Super Dungeon Explore minis did. 25mm Minifigs from the early 1980s, the customer having encyclopedic knowledge of the subject (and I, at the time, had NO idea) AND he had been an avid painter himself for timespans which are counted in fractures of centuries rather than years or decades. So he had a very certain style forged over this timespan, plus a style forged in a different period of miniature painting. Pretty much before GW came about and changed the game (no pun intended). For a quick and interesting overview of miniature wargaming's history have a look at Henry Hyde's The Wargaming Compendium. These minis don't have the overpronounced details modern minis have (it pretty much is mostly freehanding when it comes to details), they have more sensible proportions and last but not least: They are way smaller than what we got today. 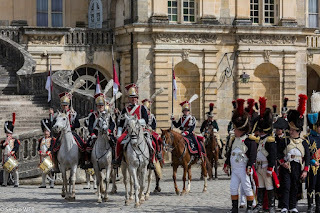 As I said, I had no idea about the uniforms of the time, nor the formations, tactics or even the different kinds of cavalry. So there was lots to learn. Thankfully I was supplied with very good colour plates. Switching to somebody else's painting style also is very discomforting and to be honest painting those was a chore most of the time. 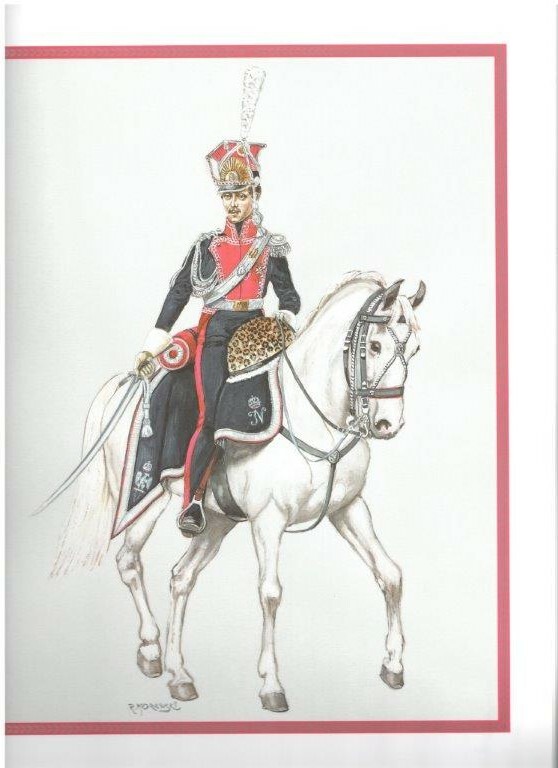 Especially with the added very specific wishes concerning how to paint a horse. 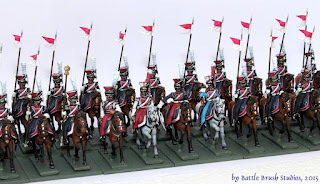 However, once those minis are done, those old Minifigs do look splendid as a unit and on the battlefield. The pennants on the lances I bought from GMB (after conversing with them about the exact size; turns out they're perfectly to scale with the 25mm minis. Meaning that they're INACCEPTABLY too small for your 28mm ones! !1 ;) ). Couldn't be bothered to make them myself for ~30 dudes. 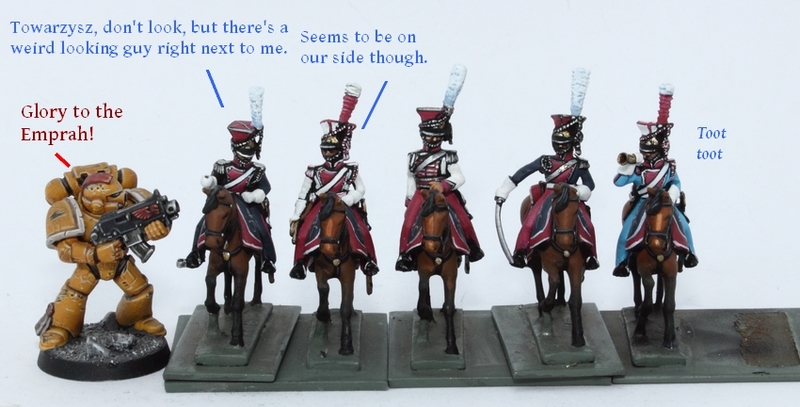 So yeah, this was my rocky start into old-school 25mm Napoleonics, and as the past months showed it certainly would be a long, winding road. It's very different to most things I do indeed. 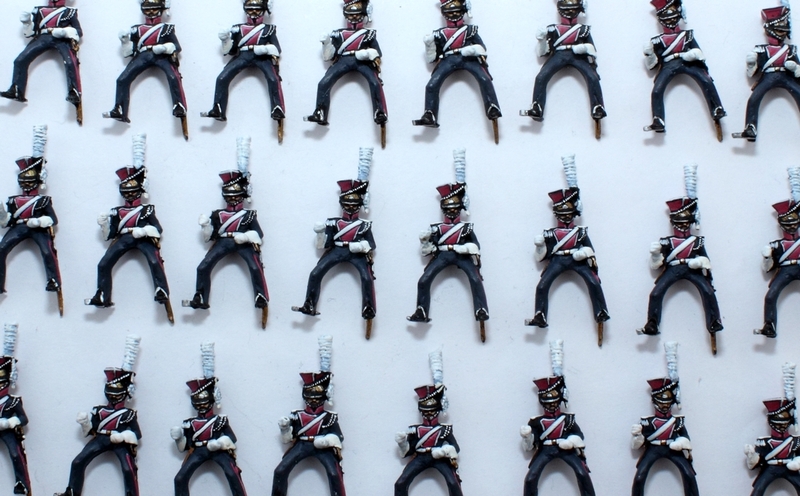 It's a lot more work, but these units do look really, really good once they're all done. I'm pretty sure many other paintmonkeys wouldn't do those because they're exhausting and unforgiving, but I feel like I do learn a lot through these minis. Getting kicked out of your comfort zone is very helpful here and there. Feel free to use this mesmerizing photo as wallpaper. P.S. 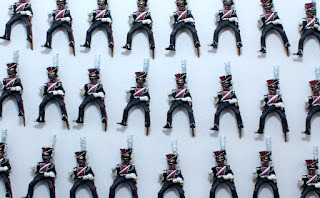 : Speaking of wallpapers: While I was painting these figures and felt some serious motivation problems one day I looked up a really cool picture of the Guard Lancers and put it up as my desktop background. You can find a larger version of this online. That helped with my motivation to paint them. Maybe it works for you as well?